Faculty and staff members are often the first people on campus to recognize that a student is in distress. In that situation, should you talk with the student? Should you talk with a mental health counselor? Do you need to do anything at all? According to Aaron Hughey, a professor in the Department of Counseling and Student Affairs at Western Kentucky University, faculty and staff members are neither expected nor obligated to provide personal counseling services. What faculty and staff can do, if they choose to intervene, is encourage students to seek counseling by making a referral. Making a referral is essentially motivating a student who needs services to recognize the need for those services and to follow through by accessing them, Hughey says. There’s no one correct way to deal with students in distress, however, and different faculty and staff members have different capacities for working with distressed students, so it’s important to know your abilities and limits when deciding whether or not to intervene, Hughey says. You can contact counseling services yourself for help in making the decision. Consider a referral for counseling when a student’s problems go beyond your experience and expertise or you feel uncomfortable helping a student with some issue, Hughey says. You might refer a student because the student’s problems interfere with his or her academic or cocurricular work, or the student’s behavior disrupts a classroom or activity. Speak directly to the student when you sense he or she is in academic or personal distress. Openly acknowledge your awareness of the student’s distress, your sincere concern about his or her welfare, and your willingness to help the student explore options. Request to see the student in private. Briefly acknowledge your observations and perceptions of his or her situation and express your concerns directly and honestly. Listen carefully to what the student is troubled about and try to see the issue from his or her point of view without agreeing or disagreeing. Do not ignore strange or inappropriate behavior. The student can be informed that such behavior is distracting and inappropriate. Help the student identify options for action and explore possible consequences. Be open about the limits of your ability to help. If the student seems to be in imminent danger of hurting himself or herself or others, immediately consult the counseling center or the campus police. Do not promise to keep a student’s threats confidential. Age and experience levels—No matter how sensitive and sympathetic you try to be, you will likely have a vastly different perspective about the situation than the student does. Some of the issues they are facing might not seem all that alarming to you. Yet remember that traditional-age college students are generally between the ages of 17 and 22. The things that are serious issues for them may not seem significant to adults who are many years older, yet it is important to refrain from judging or minimizing their concerns. Cultural differences—Students from underrepresented groups may perceive greater barriers to obtaining support services, and they may be less likely to seek out help as a result. The fears of stigma or stereotype may be more acute among certain populations. Many cultural factors, such as race, gender, sexual orientation, or disability, can add nuance to issues and interventions. Knowing what groups and other resources your institution offers for different student populations is helpful. Ultimately, sincerely communicated support, concern, and understanding can bridge many differences. When you are sensitive to each student’s unique needs and help them identify the resources that can address those specific needs, the outcomes will generally be more successful. Confidentiality—You should try to keep interactions private, as confidentiality builds trust, but you also need to be honest about what cannot be kept confidential under what circumstances (USF, 2010). If the student seems to pose a threat to himself, herself, or others, then “the greater good” outweighs the individual’s rights to privacy. Student privacy laws, such as the Family Educational Rights and Privacy Act (FERPA), allow sharing personal observations and knowledge about a student when there is a legitimate safety concern. Self-care—If find yourself angry with a student, wanting to “adopt” or rescue a particular student, or reliving a difficult personal experience by working with the student’s experience, you can work with the counselor to distance yourself from the situation without alienating the student. 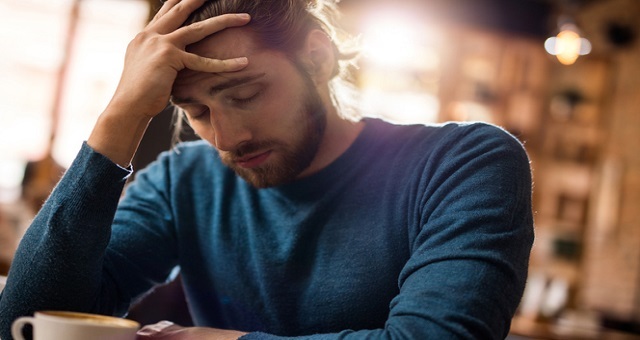 This article was drawn in part from Campus Law Considered’s free report How to Respond to Signs of Depression in College Students and Other Student Mental Health Issues. Reprinted from “How to Intervene with a Student in Distress,” Campus Law Considered, March 18, 2015.